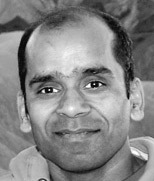 Arun Gupta is a Principal Open Source Technologist at Amazon Web Services. He has built and led developer communities for 10+ years at Sun, Oracle, Red Hat and Couchbase. He has deep expertise in leading cross-functional teams to develop and execute strategy, planning and execution of content, marketing campaigns, and programs. Prior to that he led engineering teams at Sun and is a founding member of the Java EE team. Gupta has authored more than 2,000 blog posts on technology. He has extensive speaking experience in more than 40 countries on myriad topics and is a JavaOne Rock Star for four years in a row. Gupta also founded the Devoxx4Kids chapter in the US and continues to promote technology education among children. An author of several books on technology, an avid runner, a globe trotter, a Java Champion, a JUG leader, NetBeans Dream Team member, and a Docker Captain, he is easily accessible at @arungupta. Join Java Champion, JavaOne Rockstar, and Couchbase's VP of Developer Advocacy Arun Gupta to discover how to package, deploy, and scale Java applications using Docker. This talk will provide a quick introduction to Docker. In this webcast, we'll show parents and kids how to get started building Minecraft mods with Minecraft Forge, a commonly-used tool for applying gameplay enhancements. This webcast will provide an introduction to the updated Java EE 7 platform using GlassFish. Attendees will learn the design patterns of building an application using Java EE 7.